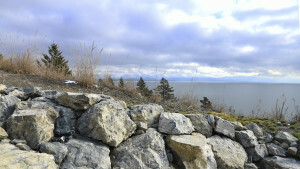 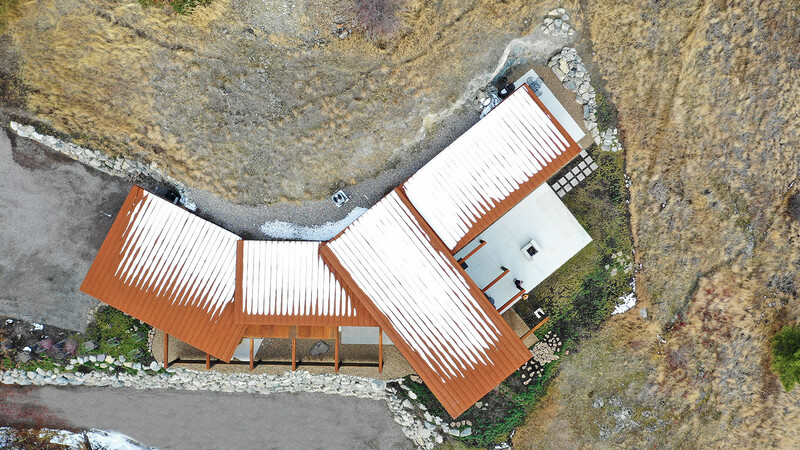 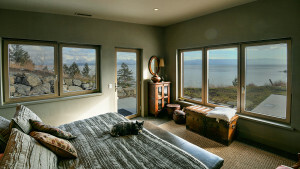 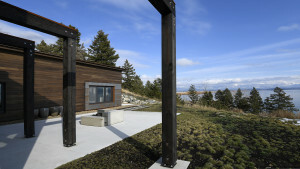 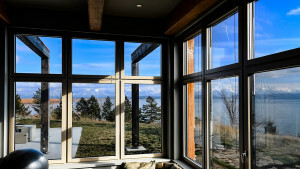 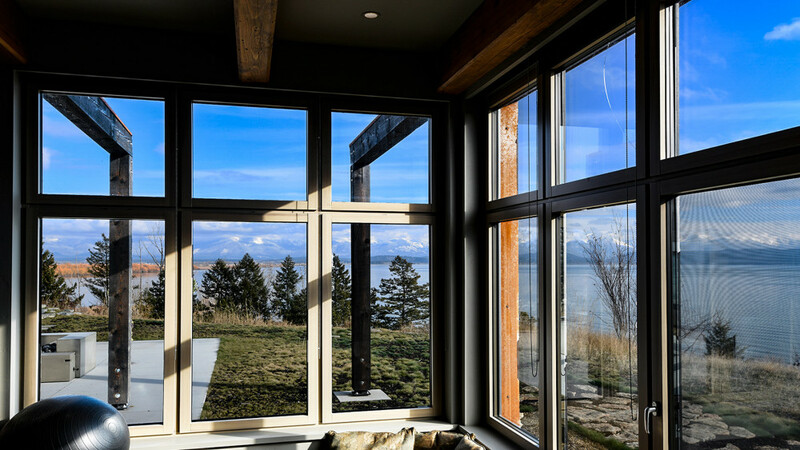 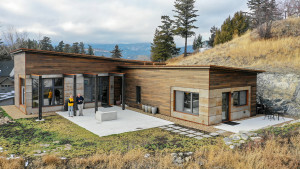 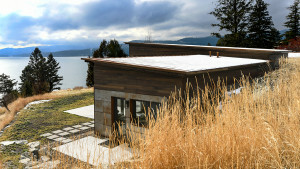 This project occupies a majestic site - considered sacred by the owners - in Montana overlooking Flathead lake and the Swan and Mission Mountain ranges. 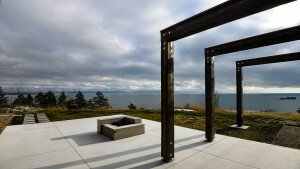 Although tucked into a densely built historical village, the building works with the land to create a private oasis, shielding views of neighboring dwellings from both the interior and the major outdoor living areas of the site. 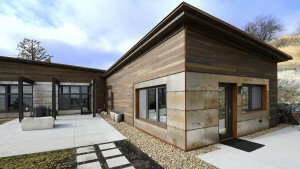 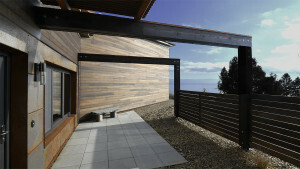 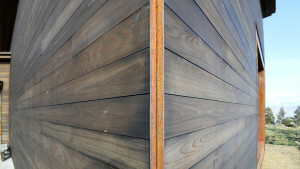 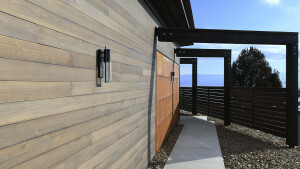 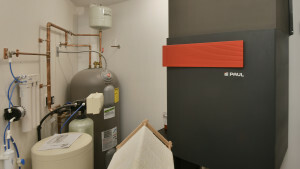 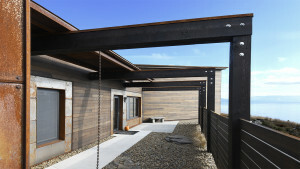 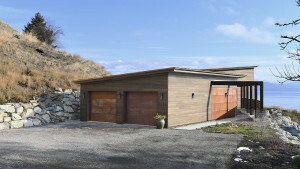 The exterior 'rainscreen' ventilated walls feature wood siding and aged steel panels. 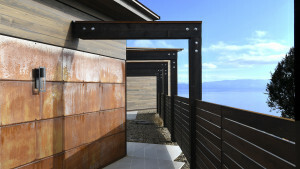 The steel used for roofs and exterior walls creates a natural patina as it weathers to create a maintenance free natural finish. 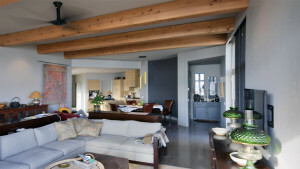 The animation was an early work in progress design study, where we were evaluating furnishings and finishes, as well as various aspects of site design and architectural detailing. Aerial view. 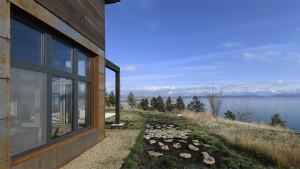 The building tucks into the landscape, shaping interior and exterior public and private spaces.